As the Baby Boomer generation ages, different ideas of retirement begin to creep into everyone's mind. Now that the kids are grown and healthy people in their fifties, sixties and seventies don't have to work anymore, questions arise about how do they spend their free time? 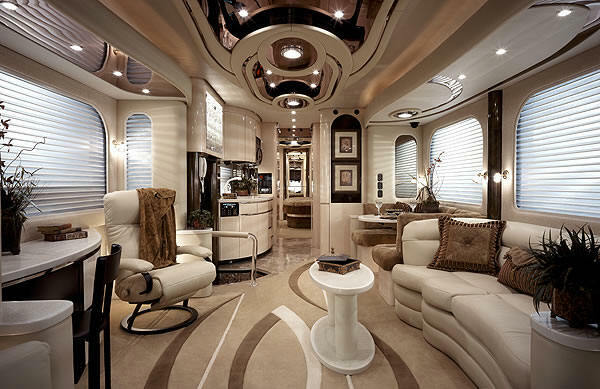 One very popular retirement fantasy is life in an RV. Why not cash in the assets and travel around the country? Back when the Boomers were kids, Trailers were generally small, clunky, ugly, and uncomfortable. Trailers were synonymous with camping in some bug-infested woods or as bait for tornadoes in trailer parks. To me, Mobile Homes were the only homes poor people could afford. 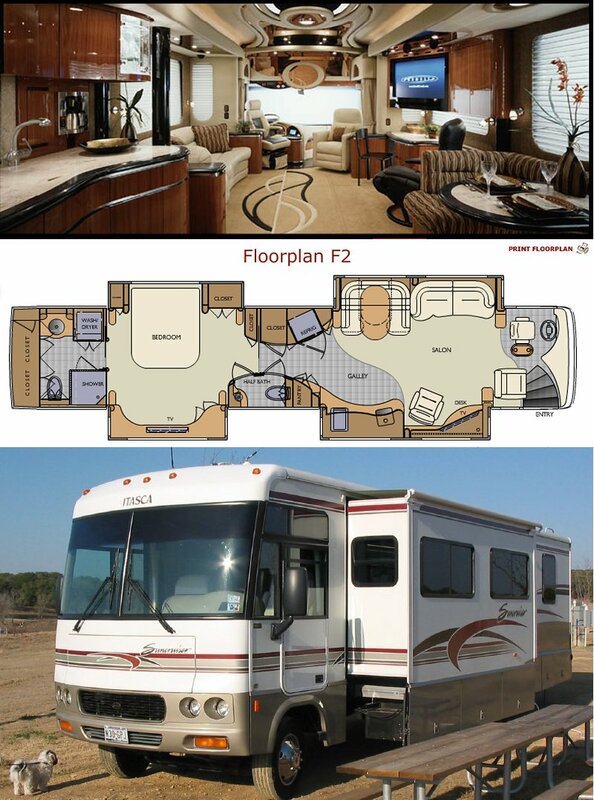 The thought of using an RV as a permanent home certainly never crossed my mind. Indeed, for a city kid like me, the very mention of the word Trailer meant roughing it about one step above pitching a tent. One day my next door neighbor bought something like the trailer in the camping picture. I crawled in and suffered a horrible attack of claustrophobia. How do people stand these things? In those small, cramped quarters, believe me when I say the thought of actually retiring in a trailer never crossed my mind. For one thing, I would be cut off from civilization. The thought of living without a TV was nearly unbearable. It seemed dangerous too. If you got in trouble in a remote spot, I would be helpless because there were no phones. What if my car broke down? Or I had a heart attack? Or what would I do if bad guys showed up to rob me or worse? Those kinds of fears made sense back in the Twentieth Century. However times have changed. 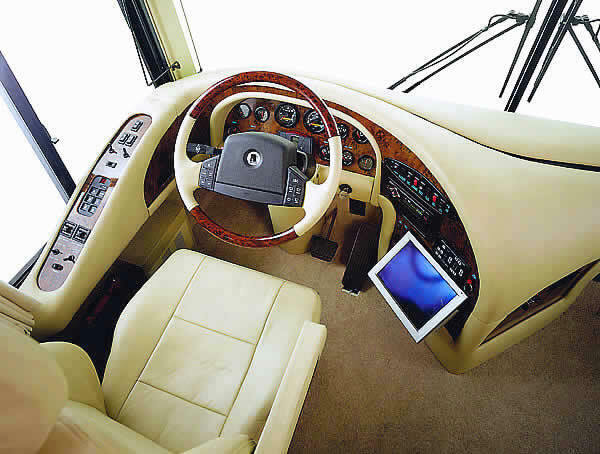 Technology that was unimaginable back when the Boomers were growing up has made the RV Lifestyle seem much safer. Think about it. 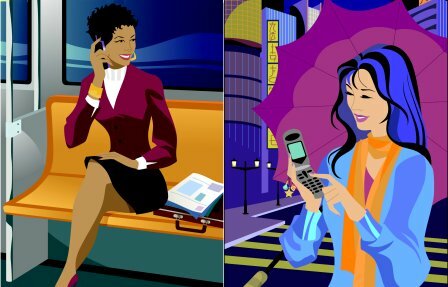 Telephones are wireless. The Internet is wireless. TV is wireless. GPS makes it easy to navigate anywhere. Instead of snail mail, you can pay your bills online. For the first time in our lives, a mobile home might actually have all the conveniences of a normal home. Meanwhile, America the Beautiful calls to the Boomer Generation from sea to shining sea! 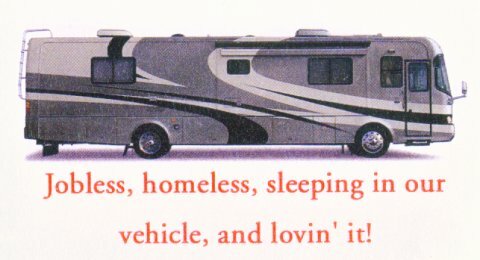 This article about the RV Lifestyle began when my buddy Leroy Ginzel sent me an email in early February 2008. Leroy's email contained the eye-catching RV pictures you will soon be viewing. I had never previously considered owning an RV. The thought had never once crossed my mind. But after viewing Leroy's pictures, the RV in the pictures looked so spacious and comfortable that I found myself deeply intrigued with the idea of being adventurous. So I started to poke around the Internet. Shocked to discover that thousands of Americans currently are wandering from coast to coast in their RVs, I realized this daydream was not nearly as far-fetched as I first thought. After satisfying my curiosity, I turned around and wrote this article on the RV Lifestyle. After I finished the article, I asked my wife Marla to review it. I was curious to know what her reaction would be since Marla didn't know what I had been working on. After reading it, Marla came in my office with a big smile. Marla said six words: "I'm in! When do we leave?" 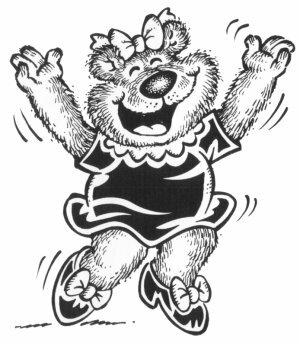 Later that same night at my dance studio, I was sitting on the couch during Practice Night having a chat with Gina Nelson, one of my students. I was telling her how attractive the RV fantasy was to me. Gina grinned at me. By coincidence, she had a cousin who had done exactly what I was suggesting. Gina pulled pulled a business card out of her pocketbook. It seems that David and Gail Rhodes had a ranch house in Kerrville, Texas. 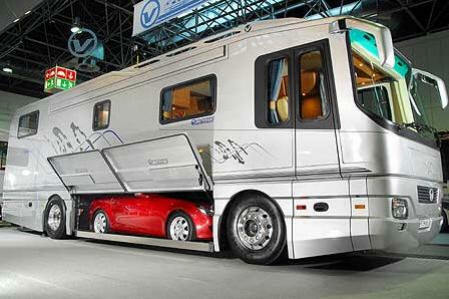 One day they decided to buy an RV, pack their bags and hit the road! David and Gail also took their dog Bevo along for the ride. As you can see from their business card, David and Gail are just a couple of bums while the rest of us city-bound "Slabbers" eat our hearts out with envy. Do you like to travel? Is there adventure lurking in your soul? If so, then maybe you should think about buying an RV! 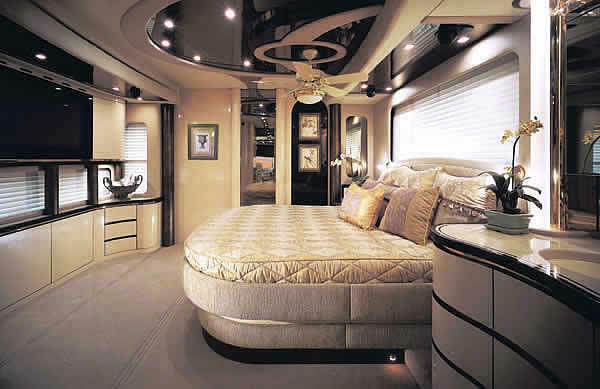 Let's spend time indulging some of those 'never in your wildest dreams' RV fantasies. RV is short for Recreational Vehicle. 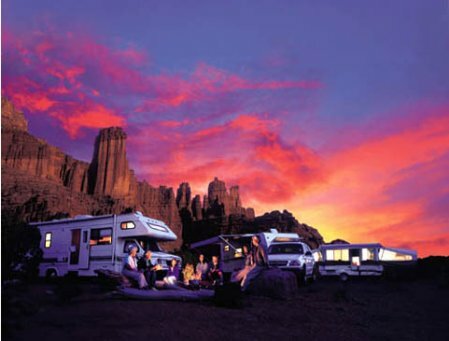 The RV Lifestyle is a term for people who are interested in traveling on a full or part time basis. Do you feel like dreaming a little? Let's start with the guy in the picture. He is trying to decide between living in the desert, cruising the Seven Seas, or buying a home in ski country. What if we told him there is a way to have all three? Put yourself in his place. Have you ever thought of buying a mobile home and just heading out into the wild blue yonder? For a month or so, you park your RV in Steamboat, Colorado, and ski to your heart's content. Then you drive down to the Grand Canyon in Arizona and spend a month there. For your next stop, you drive your RV over to San Diego and visit friends. A week later, you leave your RV in their driveway and take a cruise ship over to Hawaii. Sounds good, doesn't it? What if this was possible? WHY NOT TAKE A CAR ALONG FOR THE RIDE? One major objection to living out of an RV is the inconvenience of driving such a mammoth vehicle in city traffic. Do you really want to drive your RV in the city? Gee whiz, those massive RVs are so unwieldy! And with gas prices rising, who would want to operate a gas guzzler in town? Or for that matter, let's say you visit a backwoods park. Do you really want to drive your expensive RV on a muddy dirt road with potholes, big ruts and jagged rocks? Here is where towing starts to make a lot of sense. a small sports car along with it? 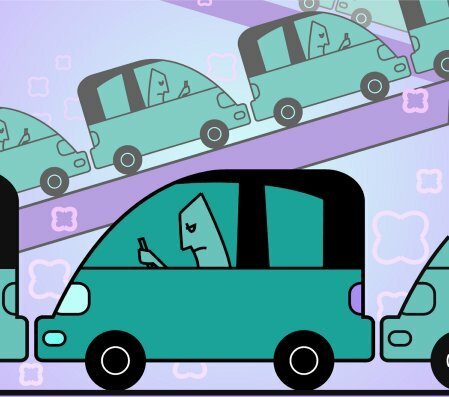 Having a second vehicle would mean that Mobility becomes much less of an issue. Having a second vehicle means another major objection to the RV lifestyle has been removed. 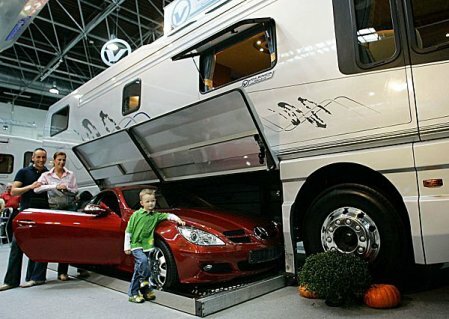 Or what if you buy an RV so plush you can put your Mercedes sports car inside of it! First you park your mobile home on the curb or the driveway, then you eject your sports car. Now you are good to go. Or if you prefer bicycles and/or motorbikes, there is room for them as well. 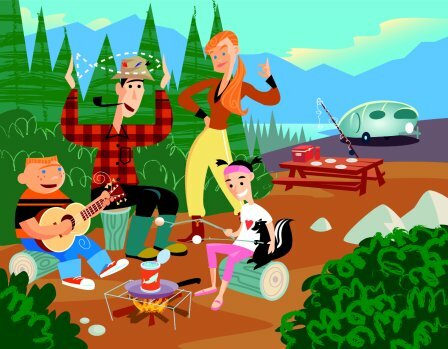 One popular feature of the RV lifestyle is the chance to use your vehicle to follow the seasons. There is a name for this. These people are called snowbirds. They travel south during the winter months in their RV and return in spring. Clever idea. In Australia these retired travelers are called grey nomads. They usually travel north in winter in their RVs to catch the warmer weather and return south for spring and summer. Some grey nomads have sold their homes and choose to travel on a continuous basis. Canada is another country with a thriving RV population. There is a term for people who stick to one spot year-round. People who are settled down and live primarily in a house are known as slabbers. However if they spend part of the year on the road they become part-timers. Those who live in an RV are known as full-timers and live HOW (Houses On Wheels). Nor are these sort of adventures limited to the old folk. There is apparently a large segment of younger people who participate in the RV lifestyle. Increasingly our economy allows some lucky people to work out of their homes. Who said those homes had to stay in one place? People have a right to wonder where they might find a place to park their mammoth vehicles at night. Some choose to stay in Wal-Mart parking lots to save money. These locations are known as RV-friendly Wal-Marts. Another clever idea is to find work at the places you visit. There is another subculture of the RV lifestyle known as workampers. These are people that work at the campgrounds and parks they stay at in return for a site to park their RV. There is all sorts of information about this kind of life style. 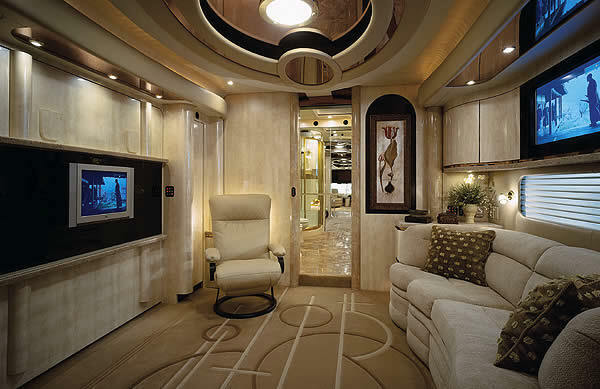 I typed "RV Lifestyle" into the Internet. Immediately I was hit with one and a half MILLION choices. Isn't the Internet amazing? All sorts of articles can be found in magazines, journals, and blogs written by those who travel in RVs. There are even complete books and computer programs out there dedicated to making the transition as easy as possible. Still curious? If so, I think you will enjoy our next section. Here are some pictures to whet your fantasies. Do you ever dream of freedom? Sick of mowing the yard? Tired of always fighting traffic? Bored with the same old view from your window? Fed up with the neighbors? Disgusted with the noise and pollution? 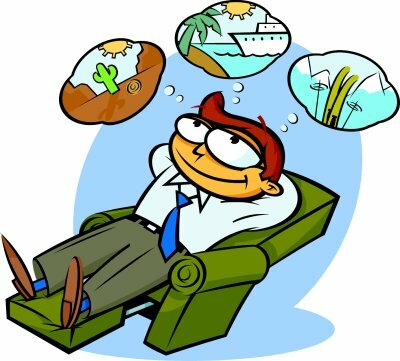 Dying to get away from it all? If you answered 'yes' to those questions, it sounds like you are definitely a candidate to pick up your stakes and head out on the road. Although making it to Hawaii might be a stretch, the other 49 States plus Canada and Central America are calling to you! Here is a list of America's National Parks. A quick glance will surely evoke a desire to visit each and every one of them! From Acadia National Park in Maine to the Everglades in Florida. From Rocky Mountain National Park in Colorado to Yellowstone in Wyoming. From Yosemite in California to Denali in Alaska. What a breath-taking thought! There are 60 parks listed. Every one of us would like to visit these places someday, but the United States is a pretty big place. Imagine how difficult it would be to visit all these locations the conventional way with air travel and rental cars. When you think about it, the RV Lifestyle starts to make a lot of sense. You could literally spend the rest of your life seeing America the Beautiful! 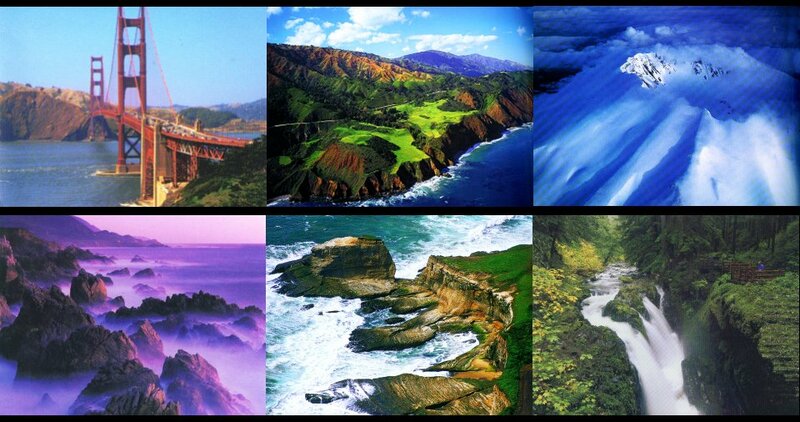 One particular dream of mine has always been to rent a car and drive up and down the Pacific coastline. Wouldn't it be great to hop in a car and see Big Sur, San Francisco, Olympic National Park in Washington, Mt. Saint Helens? Until I decided to put together this article it never dawned on me how easy it would be to accomplish this fantasy trip using a fully equipped RV. The amount of savings on hotels alone would be significant, but the main attraction would be the comfort of bringing your home along for the trip! The amount of freedom you have to pursue your interests is mind-boggling. You can research every park and the local history of the areas you visit. You can read, watch TV, email your friends, or you can just sit back and look out the window at the passing tableau. RVs can go anywhere there is gas and decent highways. Have you ever wondered what Northern Canada looks like? Well, head north and find out! What an amazing way to spend your retirement years! And when you miss home, all you have to do is drive back. Or better yet, drive around the country and see friends and family! Back in the old days, large families all lived fairly close together. Not these days! Families are all over the place. A favorite thing to do is to take side trips to visit immediate and extended family members as well as friends who are scattered hither and yon in the different states around the country. What a pleasure it has to be to leisurely cruise around the country and be able to maintain your close relationships. Sure there is the phone and email, but nothing beats seeing people face to face. With all the tales and pictures from your adventures, you will find ways to become be a popular guest! Living in an RV means cross-country travel can be affordable and stress free. You don't have to pack, you don't have to worry about who will water your plants and mow your lawn. Nor do the pets have to go to the kennel. Best of all, your pets get to come with you! They get to see the world too! Bringing your home with you makes things easier on everybody. Let's say you visit your sister, but she has errands to run or has to go to work. No big deal. You drop your little sports car on the ground and go visit places on your own. This way, you don't have to be chaperoned 24/7. You have just as much independence as if you actually lived in whatever town you are visiting. Sometime a visit to a friend's home can lead to awkward situations like overstaying your welcome. 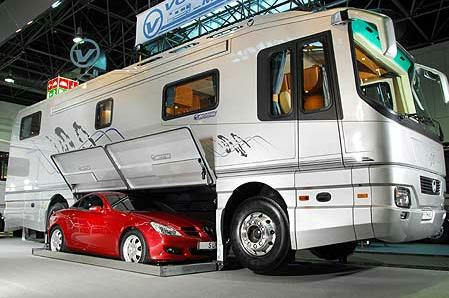 With an RV, you don't have to impose. Just walk out to your RV in the driveway and you give your host all the privacy in the world. This way, the time you do spend with a loved one or an old friend is never over-extended. When it's time to go, you go. Ever better, invite your favorite aunt to come along with you for a while! Okay, so the kids are all grown up. You have this huge empty house. Back when the kids were banging off the walls, you could barely hear yourself think, but nowadays you can hear a pin drop. What a ridiculous waste of space! As you can see from the pictures, living in a mobile home means having the comforts of a luxurious home on a reduced scale. It certainly won't take hours to keep the place neat. You should have plenty of time for crossword and jigsaw puzzles. "Reduced size" perhaps, but these modern RVs appear to have a lot of space. With a TV in the bedroom as well as the living room - the place is obviously big enough you won't have to argue over which TV show to watch! So what about that cruise to Hawaii or a trip to Europe? Your travel experience is not limited by water one bit. You drive your RV to the nearest airport, find a safe place to park the vehicle and off you go! Better yet, special events like Mardi Gras in New Orleans become more reasonable than you ever imagined... do you have any idea how expensive those hotel rooms are and how hard it is to get one? With an RV, you just drive down to Louisiana, put down the anchor and get ready to have the time of your life. 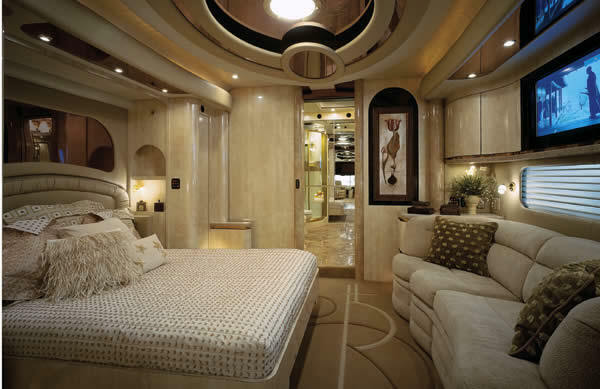 As you look at the different pictures of the plush RV interiors, has it crossed your mind just how WIDE and SPACIOUS these rooms appear? Apparently when the RV is parked, there is a way to slide the walls apart to give more room inside. In the top picture, you see how wide the driver's area is compared to the salon area. In the middle picture, the floor plan let's you see how the walls are allowed to separate to give more room. In our bottom picture, you get to see the slide-out effect from the exterior. No need to get a plane ticket, no need to get a hotel reservation, and no airport lines to stand in. Plus you have no limits on the amount of luggage you can take. I would imagine there can be problems with this sort of lifestyle. I know I would always be worried about security. After some of the horror films I have seen, I imagine safety has to be a big issue. Having your health would be an important factor as well. It's not like you can find the finest medical treatment at a moment's notice as you can in the big city. Having the right person to share the experience with would be very important. After all, you are living in close proximity. Having a harmonious relationship would be a definite necessity. I would imagine you would need money. 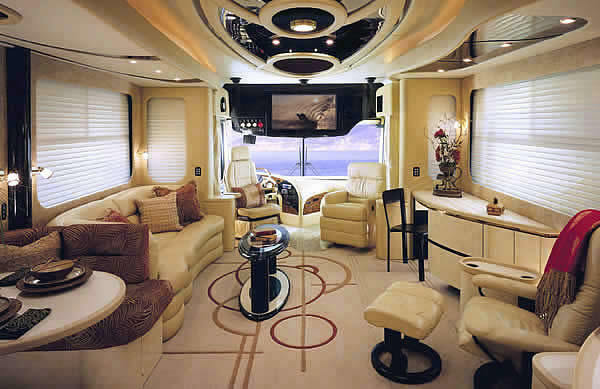 Various articles on the RV lifestyle say that RVs have a wide range in costs. 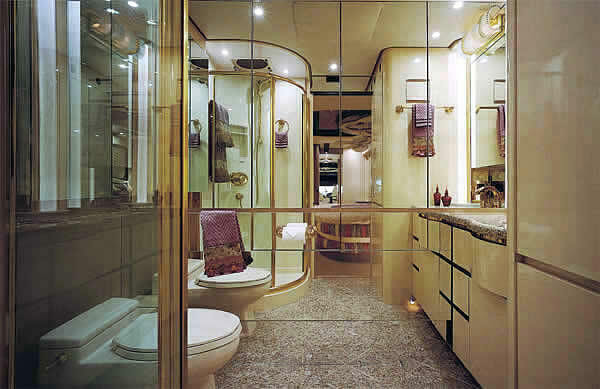 Large mobile homes are available anywhere from $50,000 to $100,000. 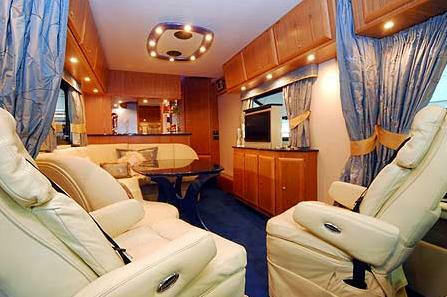 You can purchase excellent Class A Luxury RVs in the $200,000 range. 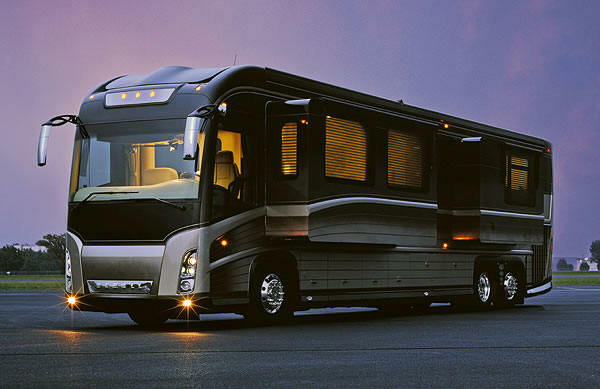 An RV like the high-end Newell Coach in the picture will run somewhere between $500,000 and a $1,000,000. But you know... there aren't any taxes to pay. Medicare and Social Security are getting ready to kick in. And certainly the utilities aren't that tough - it is a smaller, compact space for one thing. In addition snowbirding can take you to the ideal climate for each season. In 2006, shipments of RVs (motorhomes, travel trailers, fifth wheels and travel trailers) totaled 390,500 units, a 1.6 percent increase over 2005 and the highest shipment level in 28 years. In 2007, it was estimated that shipment levels were comparable to 2006. 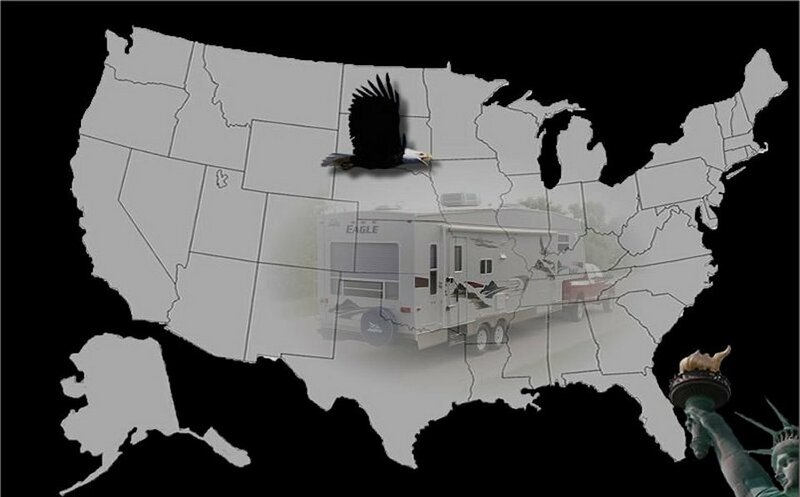 In 2007, a record 8.2 million RVs were on the roads in the United States. This means 1 in 12 American families owns some sort of an RV. 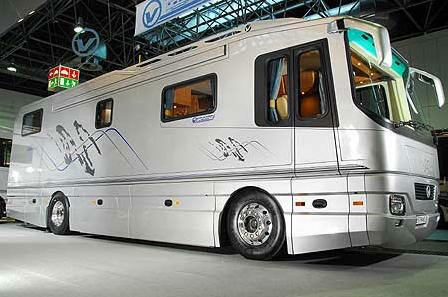 For 2008, the recent downturn in the economy seems to have curbed the growth of RV sales significantly. However, the long-term signs point to substantial RV market growth because of favorable demographic and ownership trends. This is another way of saying that as the Boomers retire, RV sales are going to continue to grow regardless of the economy.